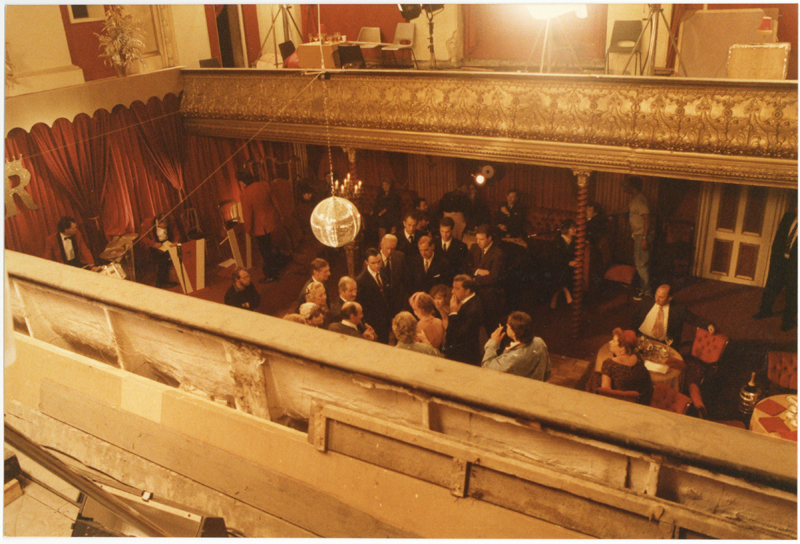 Wilton’s has an illustrious legacy of live entertainment, however it was filmed productions by Spike Milligan that first brought the hall back into performance use and restored parts of the hall in the 1960s. 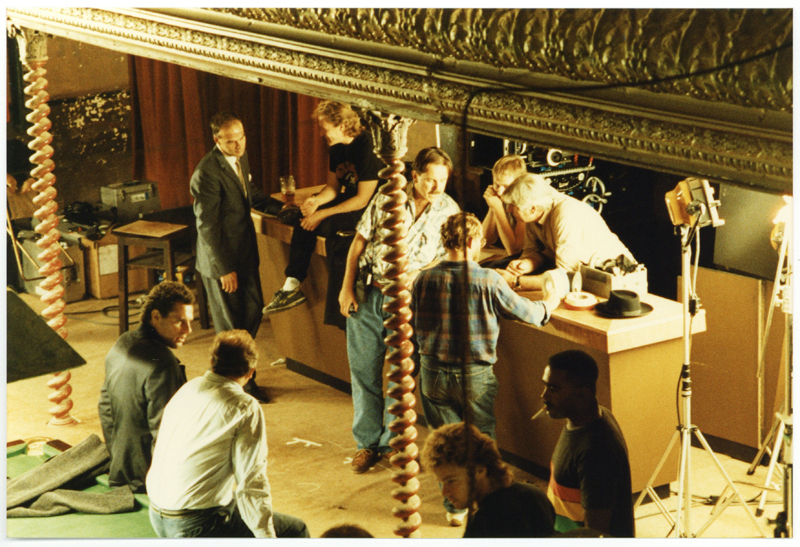 Since then Wilton’s has appeared in numerous film, television and music video shoots. 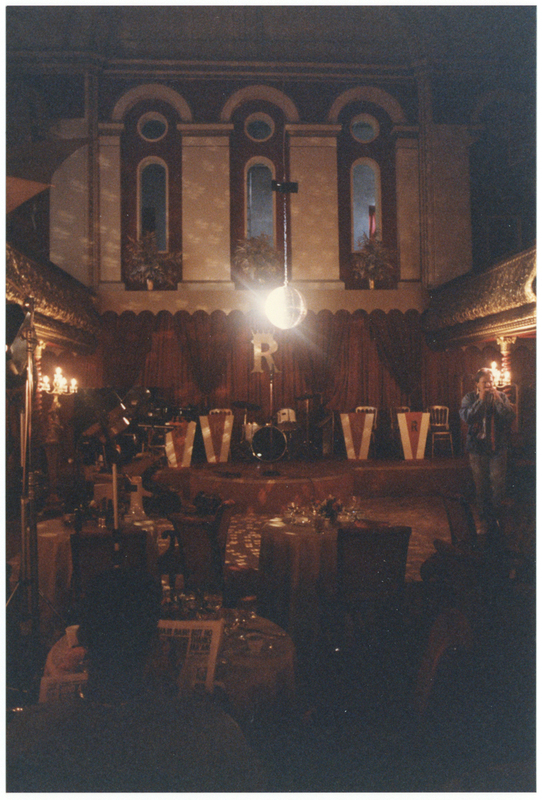 As a stalwart of the East End itself it is appropriate that Wilton’s played host to those other 1960s East End icons the Kray twins for the 1990 film The Krays starring Martin and Gary Kemp. 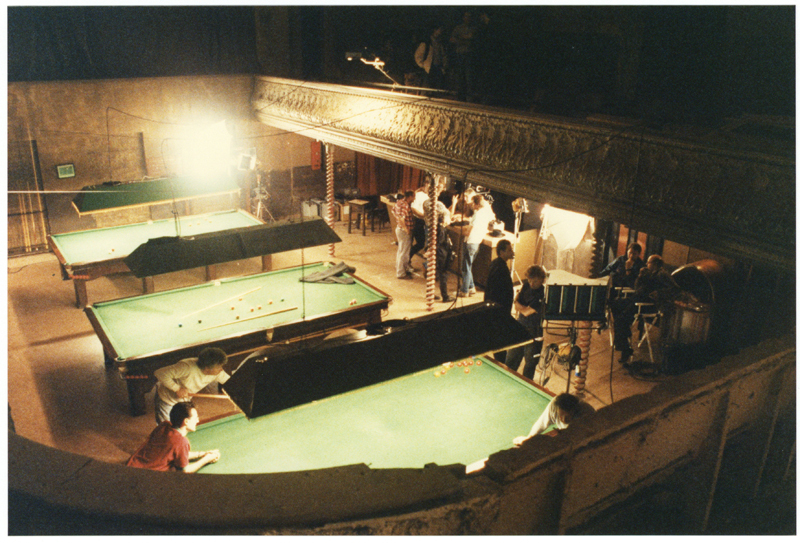 Wilton’s first appears in the film as a snooker hall and is introduced with the line ‘This place used to be so great’. The unsettling quality of decaying grandeur, that the great may fall, gives the scene a tense atmosphere. 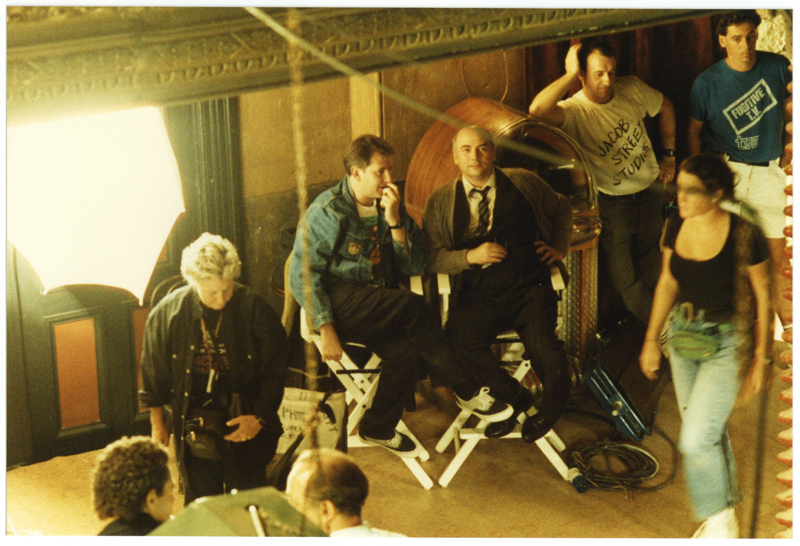 The claustrophobic lighting and dense smoke created by the production team increase the threat level as the scene leads to its violent climax. 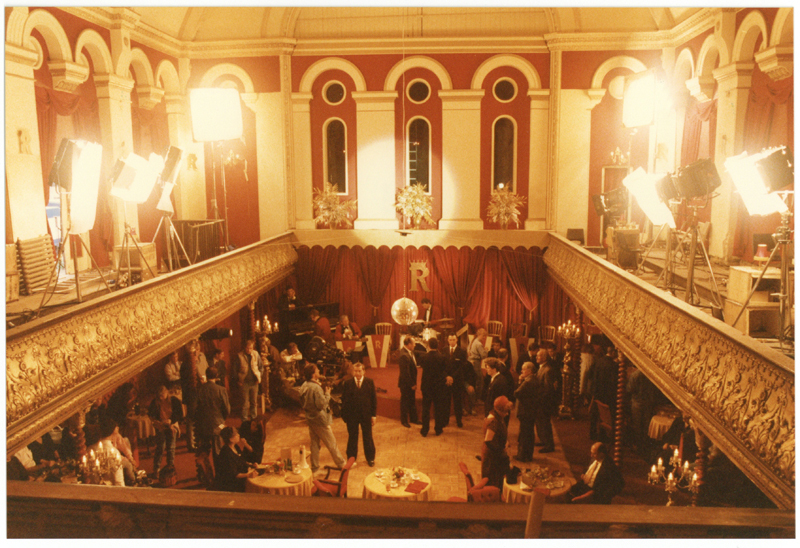 Both in the film and reality Wilton’s was dressed up to create the Kray’s legendary Regency Club with the walls painted blood red. As the scene begins veteran variety performer Jimmy Jewel gives an impromptu performance of 'Ballin’ the Jack' to the appreciative audience, much as music hall artists would have done in John Wilton’s day. 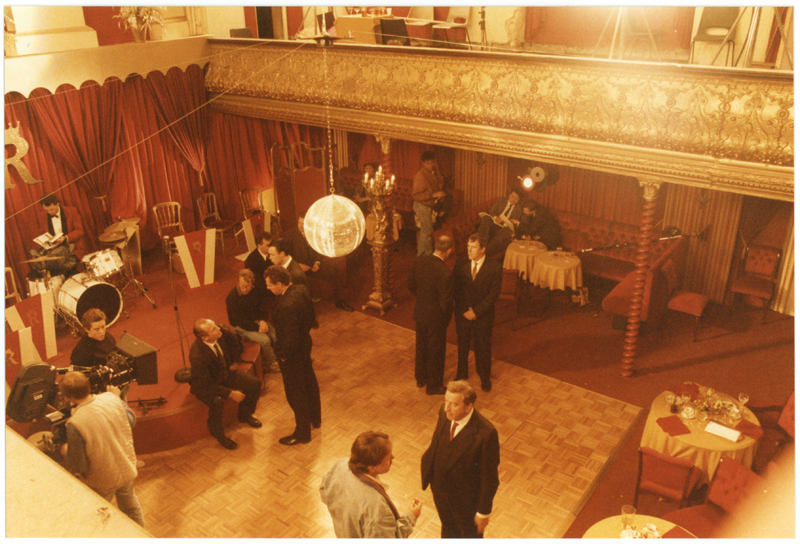 The set and dressings add a temporary glamour to the space, but as with the reign of the Krays it was not to last. 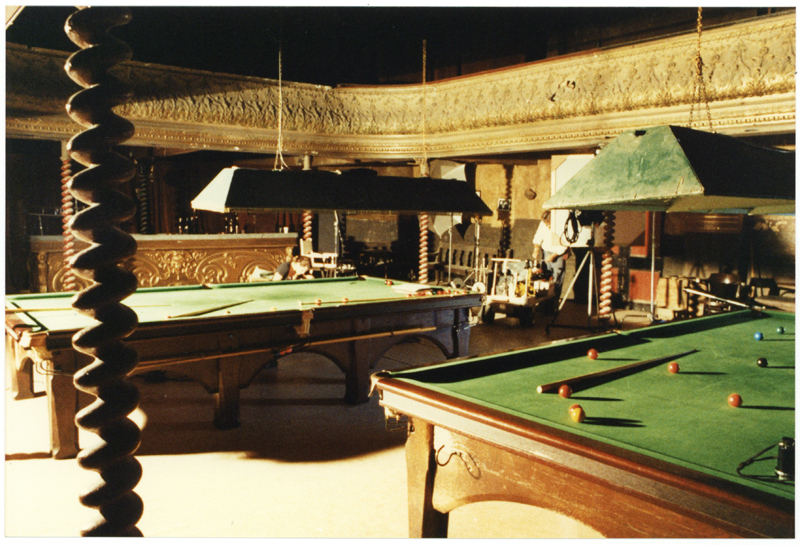 The furniture and fittings were removed as swiftly as they appeared and Wilton’s returned to its vulnerable dereliction for another two decades. 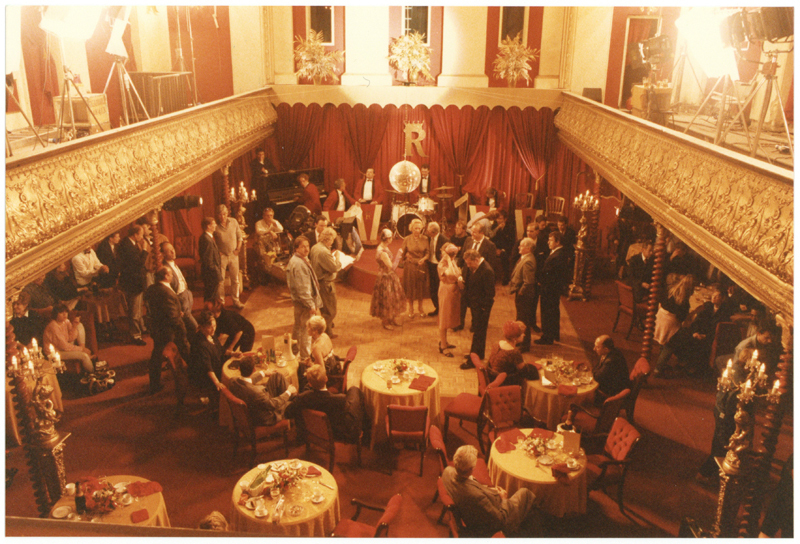 The colour scheme, however, would last and stayed, gradually decaying until another production reinterpreted the space in the mid-2000s.